When we review RMC proposals, clients are often astonished at the complexity of the revenue flow for a typical relocation file and the strong reliance on referral fees. Whether you believe in referral fees or not, they are a well-established industry practice. Some, however, question their benefit to the client corporation. In this blog, we will review the pros and cons of these fee structures and propose a simpler, more transparent and effective way to purchase relocation management services. 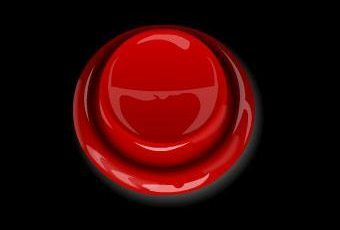 Get ready for a “Reset”. Who do the referral fees apply to? The following illustrates the range of referral fees paid to RMCs in the course of an employee relocation, in addition to the fees levied from suppliers as a condition for acceptance in their network (network fees). – Real Estate: 25%-39% of the listing realtor’s commission for home sale & the buyer’s portion for home purchase. – Move of Household Goods: 0%-10% of the total invoice, in most cases, with some only charging on line haul amount. Referral fees can apply to many other services such as spousal assistance, orientation/settling-in, furniture purchase/rental, auto lease/purchase, car rental, etc. In the case of moving services, some RMCs may also charge audit and invoicing fees that can add up to another 5%. Do these referral fees fairly reflect the value of the services provided by the RMC? One of the first ‘referral fees’ to appear in the relocation industry applied to real estate transactions. The intent behind this fee was, and continues to be, to replicate the common practice of providing compensation, by means of a percentage of the commission, to another broker who would have provided a lead, in this case the RMC. Given the minimal effort involved, the amount received was passed on as a savings to the client. Over time, referral fees spread throughout the industry, though not necessarily in the same beneficial way. The value of referral fees attached to moving household goods is not as straightforward. From the RMC’s perspective, managing a move can be very challenging and time consuming given its vulnerability to unforeseen events and changes. In addition, RMCs provide ongoing training to the supplier network as well as monitoring of their performance. From the suppliers’ perspective, opinions range from considering these fees as a beneficial marketing/sales expense to an unfairly burdensome one given that their service fees are already discounted significantly through network fees. For all other services, these fees, individually, seem relatively low and reasonable though, together, they can add up to a considerable amount. All corporations understand the need to pay for services in order to further their business objectives and most recognize that companies such as RMCs are a ‘for profit’ business. What corporations don’t appreciate, however, is paying more than a fair price, and the complex combination of file fees, service fees and referral fees does not make it clear that this is the case. 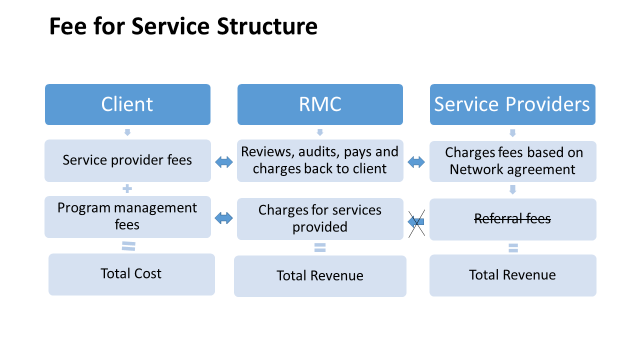 When referral fees are included in their revenue structure, there is the perception that RMCs could be tempted to choose service providers willing to pay higher referral fees over those providing the best quality and price. Another problematic feature is that the RMCs are not incentivized to manage costs since their income is directly affected by any downward adjustment to fees. There is also the risk that these fees reduce a supplier’s revenue enough that their ability to provide quality service is compromised. So, if our clients, the corporations funding this process, have a difficult time working out how their money is being distributed and whether they are being well served by the fee structure, it would be logical to conclude that it’s time for a reset. We welcome your comments.